Data Research is a scientific, international, peer-reviewed, open-access journal of data published on ITS bimonthly. It is devoted to helping and inspiring the individuals or institutions that are interested in the data. Special Issues are a significant component of ITS journal contents which provide researches in emerging fields or detailed analysis of specific hot topics or contemporary theme. The aim of the Special Issues is to broaden the scope of subjects focusing on the specific area out of the wide topic. Researchers and scholars are welcome to propose Special Issues at any time during the year. Special Issues proposals should be submitted to special.issues@itspoa.com. The Lead Guest Editor should select a suitable topic related to his area of expertise. Once the topic is decided, the Lead Guest Editors should prepare a proposal for Special Issue and assemble a team of Guest Editors. The Special Issue Editorial Team at least includes 5-10 qualified Guest Editors who can ensure to handle the articles submitted punctually and properly and can be responsible for the peer-review process. And Guest Editors are responsible for the peer-review process of the articles submitted. 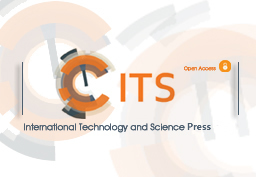 Please download the ITS Special Issue Proposal Template to complete the proposal form. When the Special Issue proposal is finished, it should be submitted to special.issues@itspoa.com. Once the proposal is submitted, the Editorial Board of journals will check whether the title, aims and scope of the proposal are appropriate to the journal selected. And the Special Issue title must be attractive enough to receive multiple high quality articles from related individuals and institutions. The Editorial Board of journals also ensures that Guest Editors are desirable. The proposal submitted may need to be revised and resubmitted; only when the proposal and the Guest Editors are accepted can the proposal be made online. Special Issue Editorial Team Members have duty to invite papers for Special Issues, write a Call for Papers, and share it widely. For example, invite students, friends, colleagues or some experts who are active and sociable in the field to submit papers or solicit papers to the Special Issue, upload it in facebook, twitter, google+, linkedin to promote your Special Issue, collect papers when attending some conferences and etc. Each Special Issue can be created with 10-30 articles. Generally speaking, the proposed Special Issue needs to receive 20 articles for a Special Issue to be successful. If the Special Issue fails to attract 10 articles (the minimum number of articles), and then all the accepted articles will instead be published in the regular section of the journal. Articles can be submitted to special.issues@itspoa.com before the deadline. Once articles are submitted to the Special Issue, the Lead Guest Editor will initially check whether the article is appropriate to be considered. The qualified articles are assigned by the Lead Guest Editor to Guest Editors for a rigorous peer-review process. Guest Editors will have an assessment to the quality and relevance to the Special Issue. When articles submitted are accepted, Special Issue Editorial Team needs to write an editorial for Special Issue. The editorial should cover such information as general description, main focus topics and detailed information of the Lead Guest Editor, Guest Editors of Special Issue. The title of the editorial is the same with that of Special Issue. No Article Processing Charge is made for the editorial. Special Issue Editorial Team can publish another two articles in the Special Issue for free, for one article is from the Lead Guest Editor and the other article is from anyone in Editorial Team. Other articles submitted or invited need to pay the same APC as general articles submitted to journals on ITS. The final decision whether and when articles are published is made by the Lead Guest Editor. Be accepted and paid, articles will be published within the given publication date for the respective journal publication. Special Issues can be read or downloaded on ITS without paying any charges.